A recent discussion around the ICR sales table centered in on the conundrum of services vs. population. Retail merchants such as grocery stores want to be downtown but they need residents. Residents want to have services like grocery stores in place before they move. It’s the age old question of which needs to come first, the proverbial chicken or the egg? To which I’d answer, either or. But somebody needs to make the move! We know a grocery store is one of the catalysts for a thriving downtown population. The right merchant needs a little more than faith in the market but also fairly specific land to make a go of it. The challenge of loading and unloading in a tight urban setting is a real consideration. As well as a mind shift to daily shopper habits as opposed to the weekly pilgrimage to the suburbs to load up. Grocery users tell us that they need a population of 20,000 people for a downtown location. That is a significant difference from the estimated 7,000 residents that immediately occupy downtown and peripheral at present. And even when we reach the desired population in the immediate area, on-site parking will still be necessary. A grocery store will need a substantial amount of land to set up shop. Simple as that. 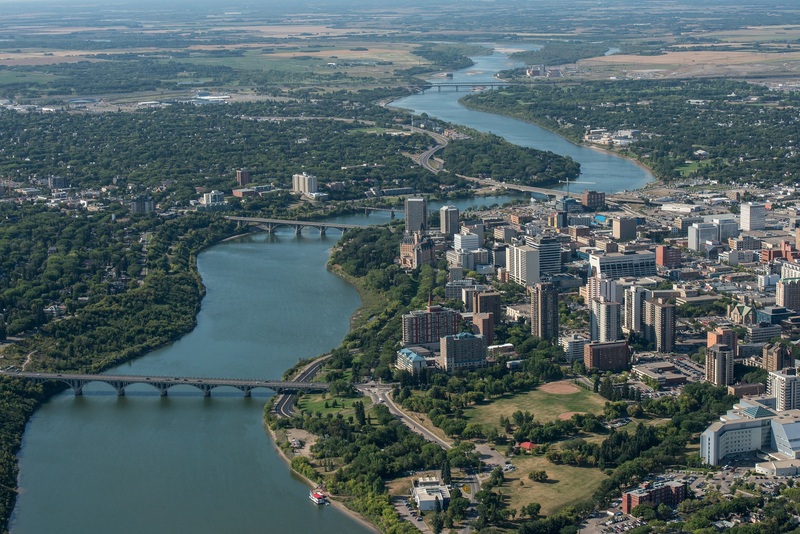 The City of Saskatoon can do their best to keep the momentum going by creating policies that encourage the growth of downtown dwellers as well as their services providers. Perhaps this is best achieved by tax abatements for owners and developers. It may also mean the City needs to re-consider its parking strategies. Competition to the suburbs is fierce. They need to make the downtown friendlier to traffic or create the accessibility to go without it. They have already put in place policies that have paid off. Limiting retail to street level access has resulted in a filling up of available retail. A finite area by definition, the demand for downtown retail vacancy remains competitive. Will this happen overnight? Not likely. But with the right planning there is a real opportunity to do something now that will impact our downtown in years to come. There needs to be a leap of faith on the part of City planners and that of business to believe we can create a sustainable downtown that people want to live in. How far away do you think we are?